Unbelievably, I have reached my 100th post! 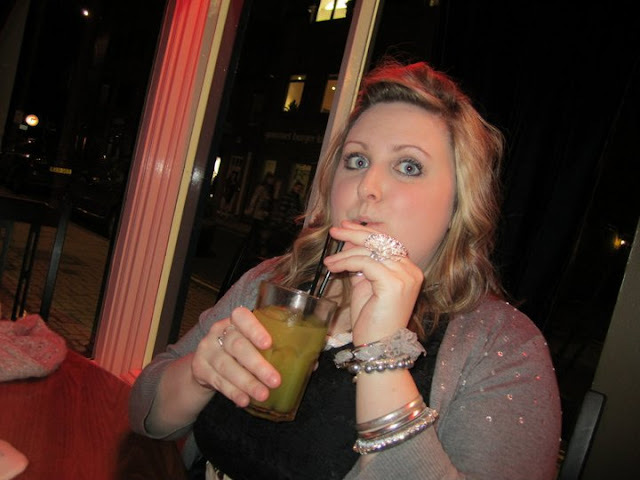 When I first stated this blog back in February I wasn't sure that I'd actually keep it up, but here I am, it's 7 months later and I'm still updating it regularly - take THAT early-2012 me!! Given that my blog is called "Cocktails & Daydreams" I thought it would be fitting that my 100th post incorporates both of these things, so I'm going to give you my favourite quick cocktail recipe and share my current (perfectly innocent) daydreams. So called because it's what me and my friends used to drink back in 1st year uni whilst getting ready to go out in our flat....and our address was 11/7 Robertsons Close.....we were so imaginative! You can make this as strong as you like really, just make sure you go for equal parts vodka and schnapps. 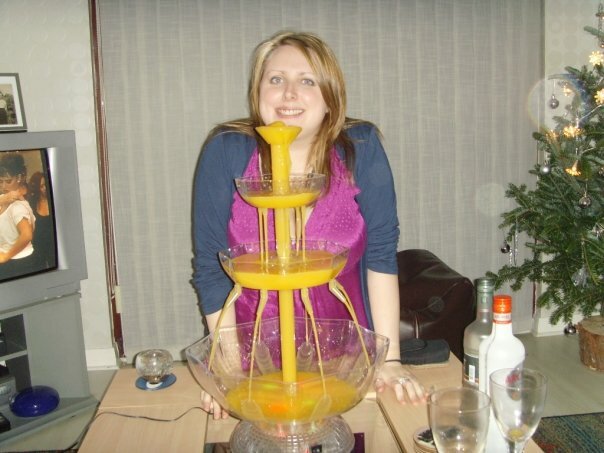 .....or you know, drink it straight from your very own cocktail fountain - whatever floats your boat! I took this photo last time I was in Paris - check out my red beret! 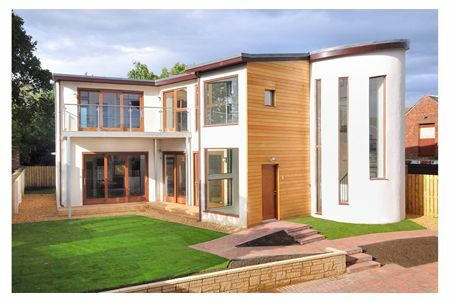 a bargain at just £740,000 - HA I wish! just in case my mum or hairdresser are reading this....don't worry, I won't!